After visiting the southern border in Texas, Senator Cory Booker (D-NJ) said what he saw there will stay with him in the years to come. “Many of us have ancestors who came to the US fleeing famine or oppression. 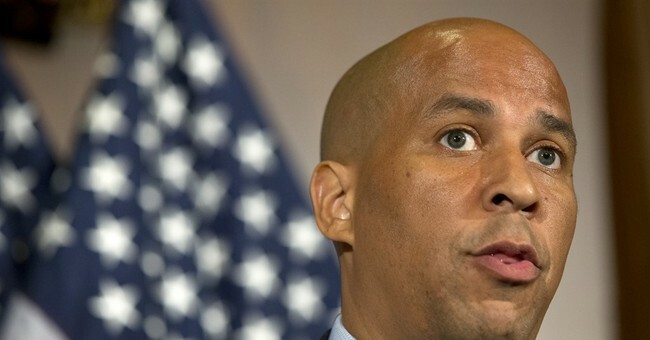 None of us would want one of our ancestors treated like we are currently treating people at the border,” Booker added. After arriving in McAllen, TX, Booker said he wanted to see how asylum seekers come over the border and what it was like for them to get their first taste of America. In a press release Thursday, the Department of Homeland Security announced their list of potential dangers facing those attempting to illegally cross the border. Booker voiced concern that many of the families who try to cross over into the United States are forced to turn back. However, during a speech given in May, Attorney General Jeff Sessions warned that crossing the border illegally could potentially lead to prosecution. “If you make false statements to an immigration officer or file a fraudulent asylum claim, that’s a felony. If you help others to do so, that’s a felony too. You’re going to jail,” he said. “I have no doubt that many of those crossing our border illegally are leaving difficult situations. But we cannot take everyone on Earth who is in a difficult situation,” Sessions concluded. “It was good to see that many of the border agents held the children and clearly tried to comfort and nurture them (though agents were told that they are not allowed to touch children, even to comfort them),” he said. Booker concluded by saying he still believes the American people will continue to do the right thing when it comes to immigration.